Sep 25 Help us reach 500!!!! 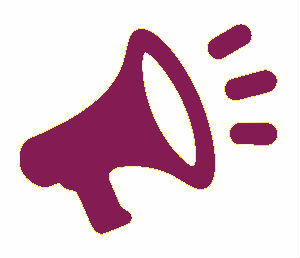 The Wisconsin Disability Vote Coalition has 230 completed surveys to date – help us reach 500! We want to hear about your voting experiences in Wisconsin during the August 14, 2018 primary election. We are interested in accessibility and disability voter access at the polls. The results of this survey will help us to have a clearer picture of what the accessibility issues are for Wisconsin voters with disabilities and how they feel about their voting experiences. We want to hear from voters with disabilities, older adults, and others who may have relevant experience regarding accessibility at the polls, such as family members, service providers, and disability advocates. Please share your experiences by taking our survey – your voice counts! Take our short survey here. The results of this survey will help coalition members and organizations have a clearer picture of what the accessibility issues are for Wisconsin voters with disabilities and how they feel about their voting experiences. Please share this survey with your family, friends, and others interested in accessibility at the polls and encourage them to take it. You will be able to view the results of the survey at the Wisconsin Vote Coalition website later this fall. Thank you for your help to improve the voting experience of Wisconsin voters with disabilities.